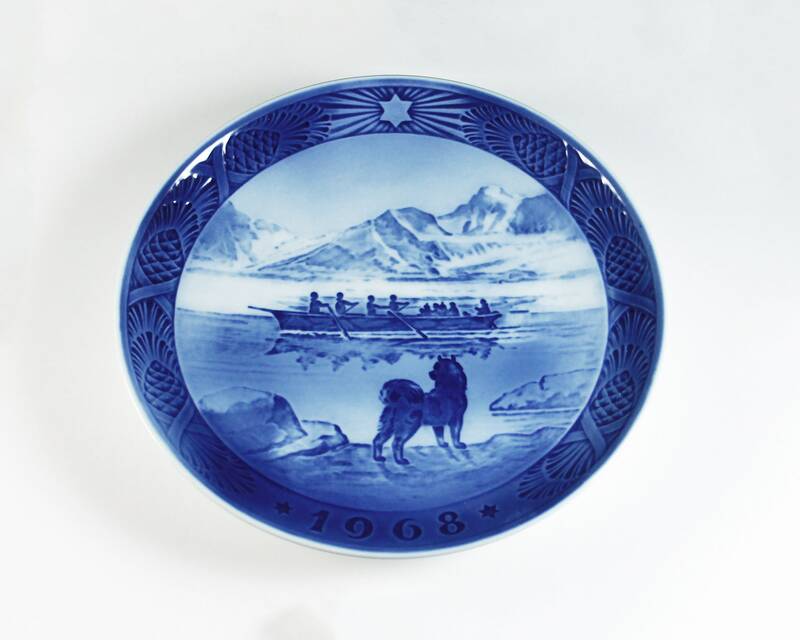 A beautiful limited edition 1968 collector plate by Royal Copenhagen. 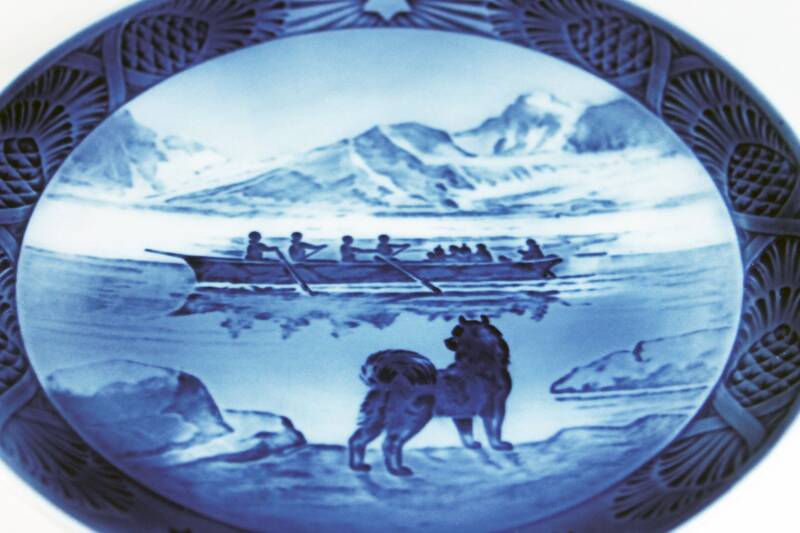 The plate is called The Lask Umiak. 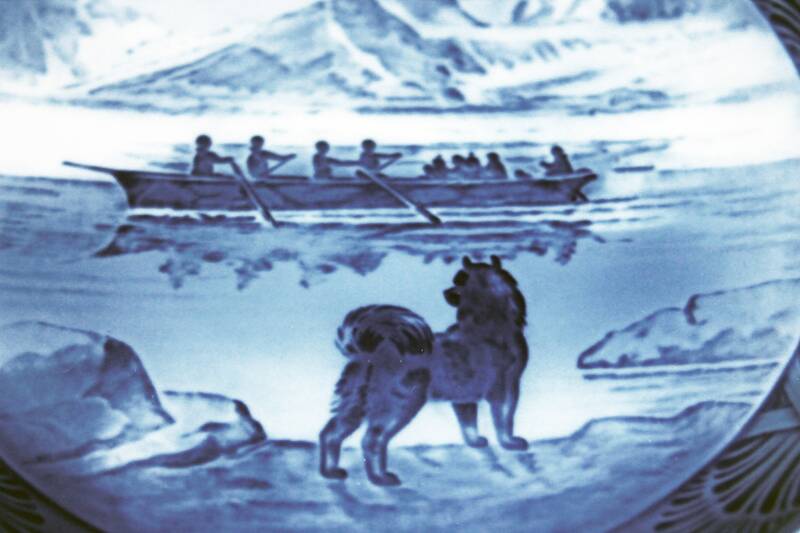 The design is of a snow-covered landscape with a dog staring out at a boat making its way across frozen waters. 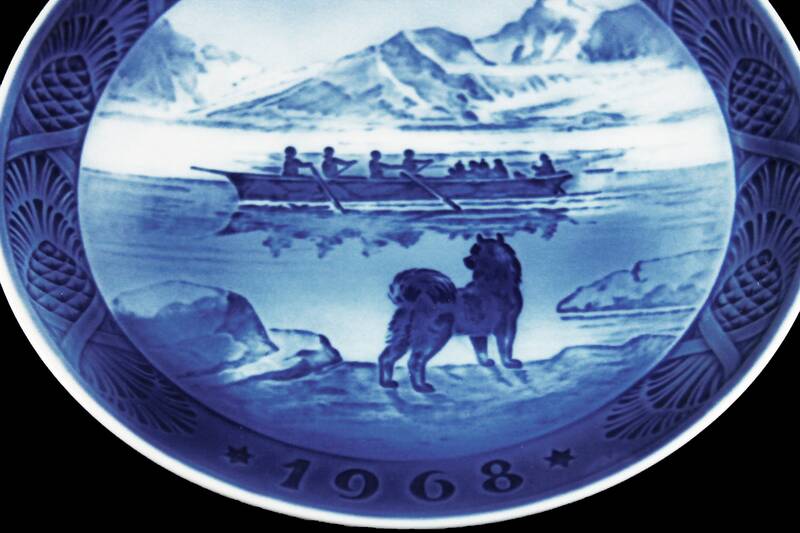 The date of this plate is embossed on the front at the bottom. It was designed by Kai Lange. The plate has a wire attached to the back for hanging. This would be a lovely addition to your home decor or as a gift. Great for hanging on a wall or added to a china cabinet. 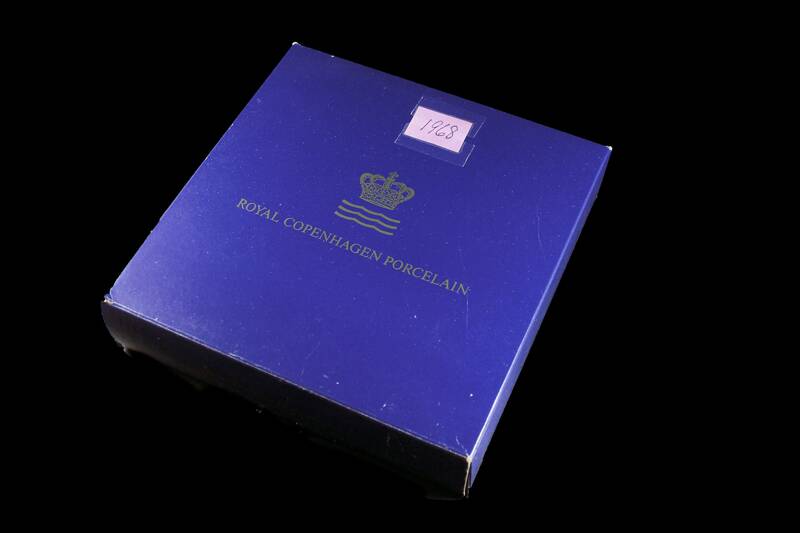 Royal Copenhagen, officially the Royal Porcelain Factory, is a Danish manufacturer of porcelain products and was founded in Copenhagen May 1, 1775, under the protection of Danish Dowager Queen Juliane Marie. It is recognized by its factory mark, the three wavy lines above each other. The tradition of Christmas plates started hundreds of years ago in Europe, when wealthy people presented their servants with cakes and sweets, served on decorative plates of wood or metal at Christmas time. The servants referred to these gifts as their Christmas Plate. 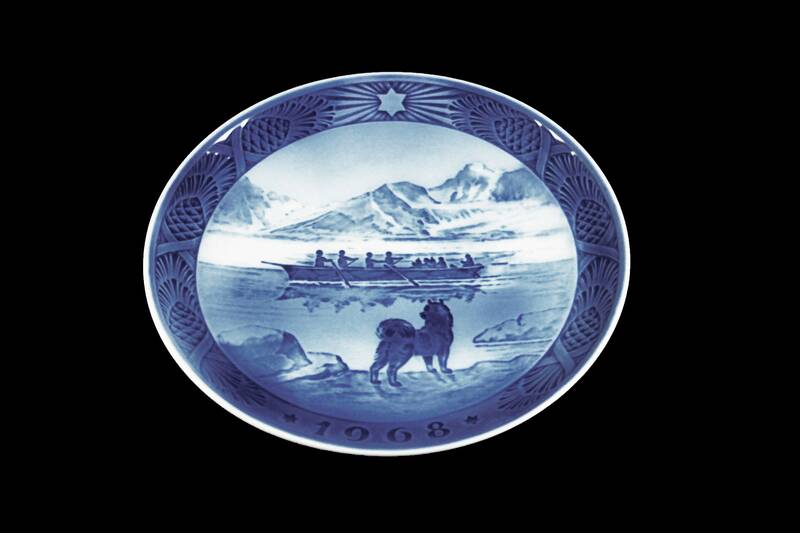 In 1895 Bing & Grøndahl produced the first Christmas plate made from porcelain, with the date inscribed, and has made one each year since. 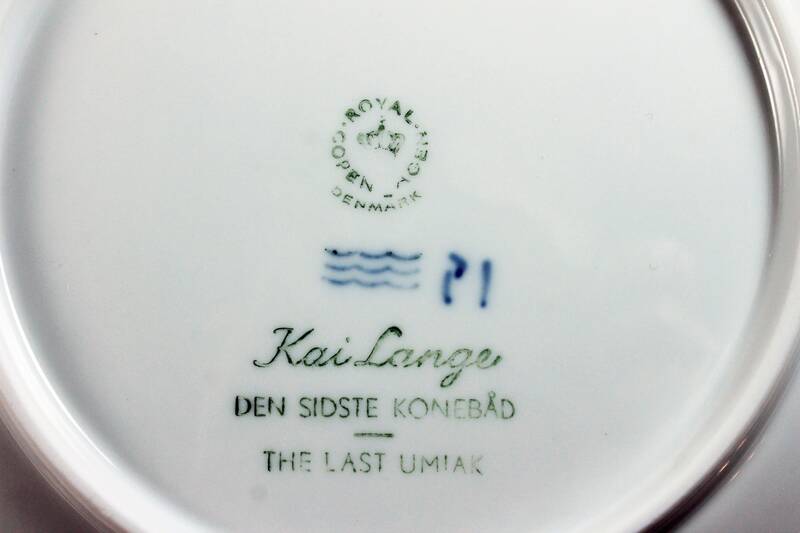 In 1908 the Royal Copenhagen factory followed suit. 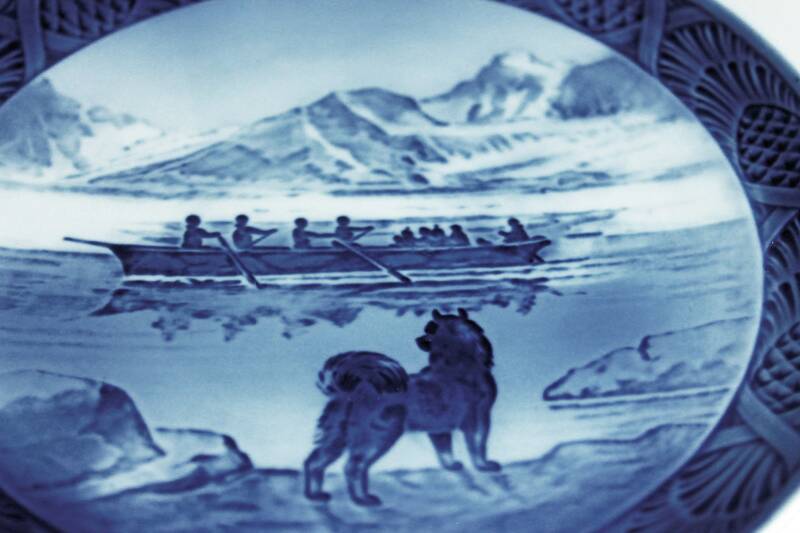 Each year these plates are made in limited quantities and have been collectible for over 100 years. 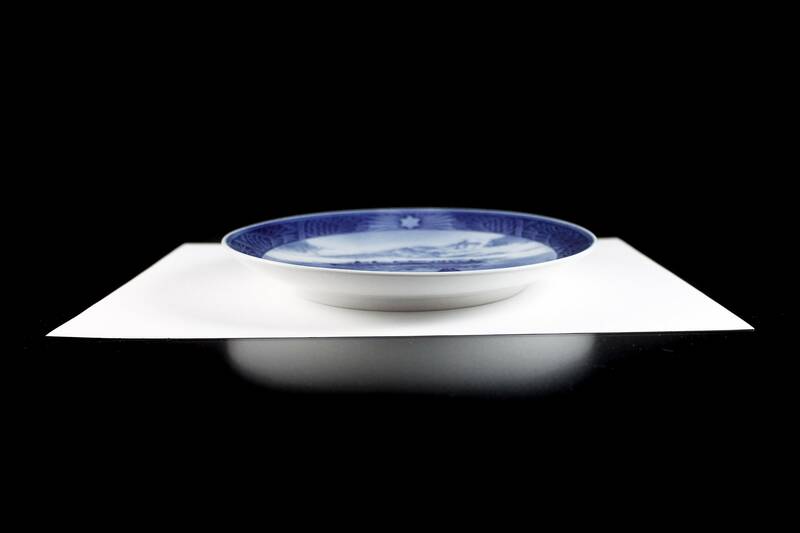 Each plate is made in the year of issue only, after which the mold is destroyed, and the design is never made again. This plate is in excellent condition. There are no chips, cracks, or crazing. It is in its original box. It would make a great housewarming, hostess, wedding, shower, or holiday gift. 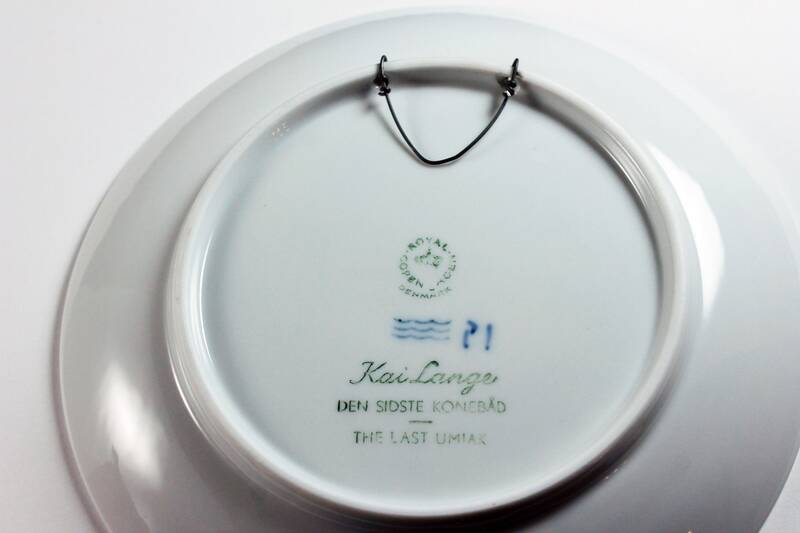 A wonderful gift for the lover of Danish Porcelain. A great piece to add to your collection.